Uncover hidden stories about Selfridges in London and look into the mind of its creator. 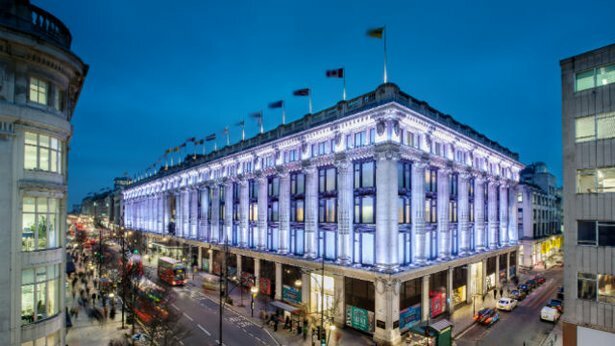 On London’s world famous Oxford Street, Selfridges department store stands out as a neo-classical landmark. A fact most of its customers don’t realize is this iconic British institution was built by American – and until he built it, the street was an undesirable back-water. This is just one of many amazing secrets hidden in the story of Selfridge and his department store. Founder and inspiration, Harry Gordon Selfridge, rose from poor rural America and personal tragedy to take old London by storm. Opened in 1909, his department store revolutionized shopping in the capital and had a lasting impact on British society. Now almost forgotten in time, London was once a very formal place with strict divisions. Women weren’t allowed to go out alone, different classes were discriminated against and shopping was a restricted affair. Selfridge himself had been thrown out of a store in London by bullying staff whilst visiting on a work trip. It made him determined to offer British shoppers a new experience. Having blazed a trail from poverty to success in Chicago retail, Harry Selfridge decided to set up in the British capital and capitalize on the gap in the market. Selfridge and his store brought the American dream to London. For 1900s British shoppers it was a revelation. The goods were beautifully presented; there was entertainment, restaurants and services. Customers were invited to spend the day inside at their leisure and buy at their pleasure. They ended up doing both. For London’s women it was particularly liberating. For the first time they could go out alone and still be respectable and comfortable. Incredibly, Selfridges was the first ever store in Britain to provide women’s toilets. Soon the suffragettes, campaigning for the female vote, found a key ally in Selfridge and his store. Selfridge also broke down entrenched British class barriers. His innovation of discounts and the bi-annual sale are taken for granted now. In 1910 it had upper class ladies and working women scrambling for the same goods. He took the risk of bringing cosmetics out of hiding and placed it right by the ground floor entrance. It was such a success every department store in the world follows the Selfridges blueprint. When most people thought Logie-Baird’s box was just crazy technology that would never catch on, the store staged the first ever public demonstration. Selfridge was a visionary. But behind his progressive business there hid a world of family secrets and vice. Obsessed by his climb up the British class ladder and taken by a taste for night-life, Harry Gordon Selfridge began to slip. He made fatal mistakes at the cards tables and with his children. When his store really needed him, the genius of Selfridge was absent. It would lead to the ultimate betrayal. "Secrets of Selfridges" is a real life story richer than any fiction. "Secrets of Selfridges" was produced by Pioneer Productions.